Need to plug in USB peripherals but just dont have enough port? Dont worry, this small 4 port USB 2.0 PCMCIA card fits into the slimline slot in the side of your computer. 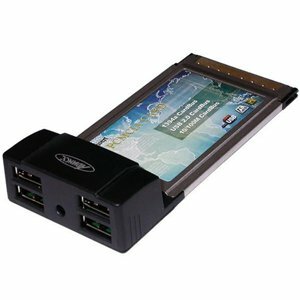 The 4 port expansion card will then allow you to hook upto 4 peripherals similtaneously via USB 2.0. USB 2.0 has an increased transfer rate over standard USB 1.0 making it an ideal solution for transferring large files quickly.